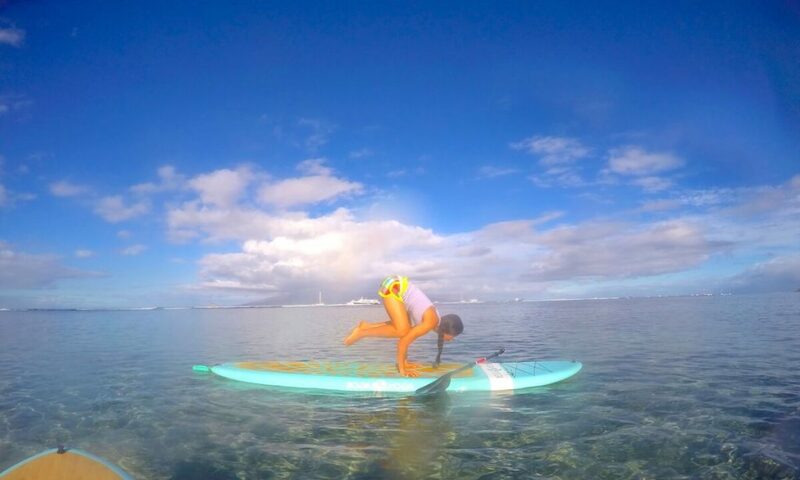 “SUP” or Stand Up Paddleboard Yoga, provides a unique opportunity to improve your focus and balance while practicing yoga on the ocean. 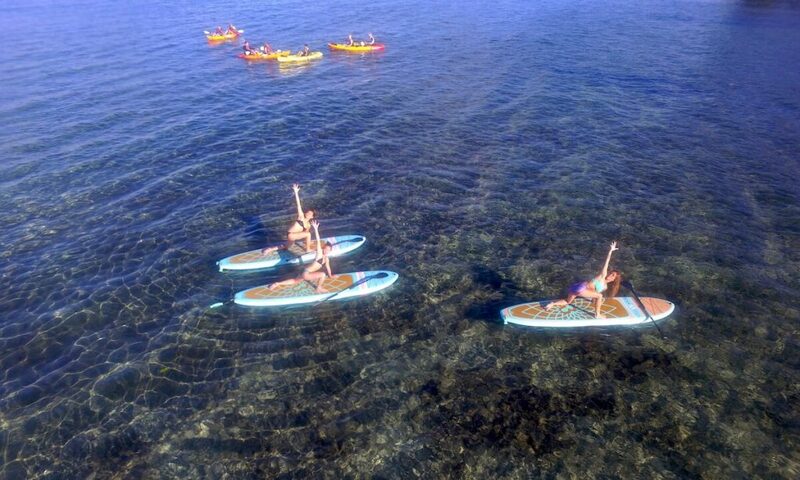 We are grateful to be the exclusive provider of BOGA YOGA Paddleboards on Maui allowing us to provide a truly unique experience. BOGA YOGA Paddleboards provide superior speed and glide and are designed to facilitate effective yoga on the water. We begin our training on shore before heading out onto the ocean where the gentle lapping of water on board adds to the powerful, healing aspects of your practice. The beautiful combination of yoga and the ocean provides you with the perfect opportunity to commune with land and ocean, mind and body for a full spirit and sense of well-being. This is a uniquely Hawaiian experience, ideal for those looking for new ways to explore the beauty of the island in a genuinely spiritual way. We invite you to embrace the healing spirit of Maui while challenging your physical abilities and discovering a new found appreciation for your core strength. 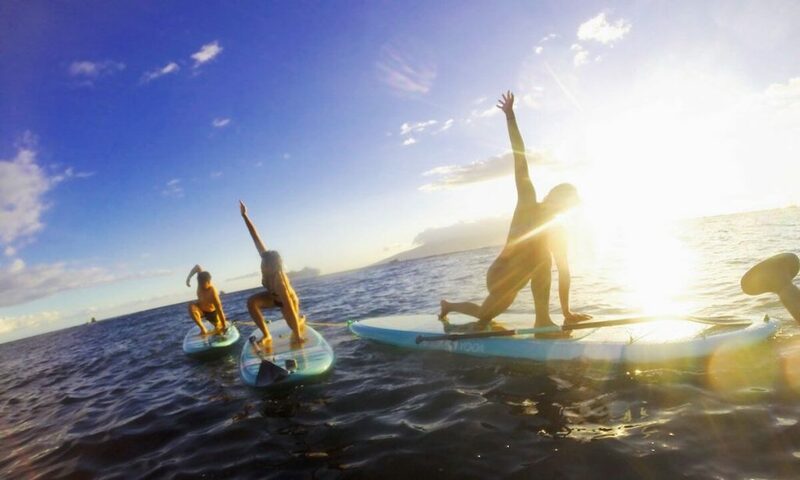 At Maui SUP Yoga we offer public group classes and private classes for one to eight people. Let’s do this! Book your SUP Yoga class online now. Check out our FAQs and discover the answers to all of your questions. One of the core principles of yoga is the development of awareness. The persistent movements of the ocean continually remind you to be present and aware throughout your practice. It’s like Zen on the ocean. Yoga is about much more than muscle development. However, the physical benefits are undeniable. SUP yoga provides an even higher degree of strength training from learning to stabilize and balance in the water. Your abdominals, obliques, biceps, triceps, shoulders, and even your feet will all benefit. With traditional yoga, savasana is considered the most important element of the entire practice. The warmth of the sun and the gentle rocking of the waves can help you relax your muscles, calm your mind, and explore your breath more completely. Whether you are a beginner, an experienced yogi, an athlete, casual runner or pro paddler, SUP Yoga can help. You can challenge yourself in whole new ways through the unpredictable movements of the board combined with unique postures and breath work. It’s the best of cross training combined with best of yoga.